"Love Transforms” is a simple, beautiful truth that impacts all of our lives. Love not only transforms those who receive love, but also those who give love. 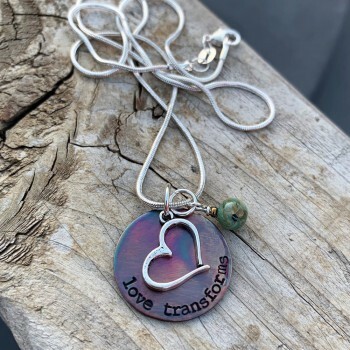 As parents, as son and daughters, as teachers, as students, as health care professionals, as those needing medical and/or therapeutic interventions (the list could go on), our hearts are transformed as we help others blossom into their full potential. 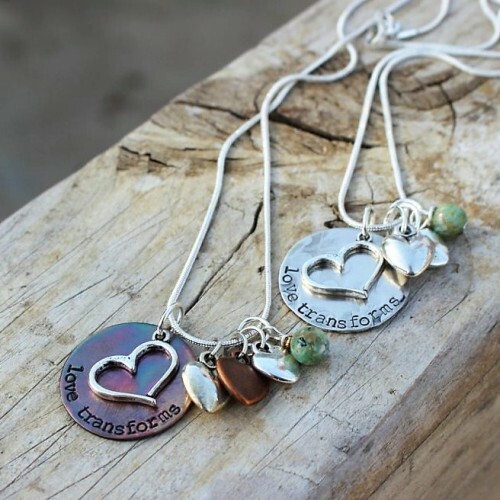 This “Love Transforms” necklace was designed to capture the essence of the transformative work of International China Concern. The open-heart design represents the love we have for those we serve and the ways our hearts grow in the midst of the giving and receiving. The jade bead represents China. 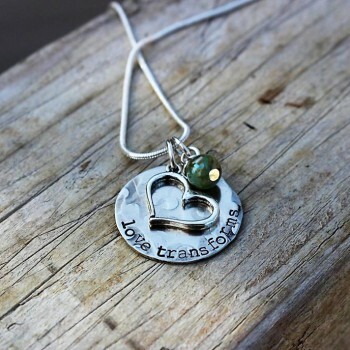 Additional heart charms can be added to the piece to represent children or loved ones in your life. For the last 26 years, ICC has been bringing love, hope, and opportunity to children and families in China touched by disability. With every necklace purchased, $10 will be given to help ICC continue its transformative work rooted in love. Visit ICC at www.chinaconcern.org. Thank you for supporting ICC!